Every week, MobileSyrup goes over some of the most notable movies and TV shows that have just hit Canadian streaming platforms. Typically, this column will focus on content from Amazon Prime Video Canada, Crave and Netflix Canada, although other streaming services may be listed here when relevant. Any content that is Canadian-made or involves Canadian cast or crew will also be highlighted. Last May, Amazon picked up sci-fi series The Expanse for a fourth season after it was cancelled by Syfy. With season four is still in development, Amazon has added the first three seasons of the shot-in-Toronto series to its Prime Video service. The futuristic series follows the political tensions between Earth, Mars and the belt and stars Thomas Jane, Florence Faivre, Steven Strait and Shohreh Aghdashloo. The full list of movies and TV shows hitting Amazon Prime Video Canada in February can be found here. This Canadian-made drama follows a mother who struggles with advanced Parkinson’s disease while her son grapples with his sexual and emotional identity in the violent Alberta oil field work camps. The film was written and directed by Kathleen Hepburn and stars Mary Galloway, Nicholas Campbell, Shirley Henderson and Théodore Pellerin. The second Canadian drama to hit Crave this week, Never Saw it Coming is about a psychic who finds herself in the middle of a small-town murder case. This Canadian family-friendly animated series is about four 12-year-old kids and a monkey who try to turn everything in the world from boring to awesome. The series features the voices of Sam Vincent, Brian Drummond, Colin Murdock, Chiara Zanni and Tabitha St. Germain. 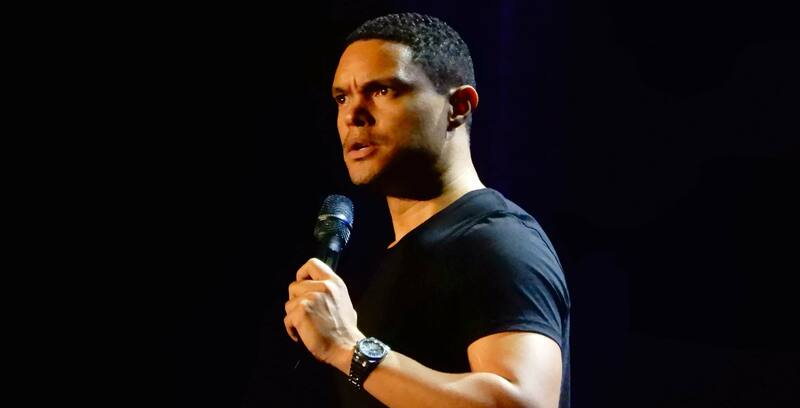 Emmy-winning Daily Show host Trevor Noah headlines these two hour-long comedy specials from last summer’s Just for Laughs festival in Montreal. The comedian delivers his usual mix of observational comedy and political satire while also introducing other stand-ups, including Jim Norton, Michelle Buteau and David Angelo. While Sony’s Spider-Man-less Venom spin-off was a disaster, 2018 did at least see the release of one body horror flick with a Tom Hardy lookalike that was actually quite good. In Upgrade, paralyzed mechanic Grey uses a chip implant to control his body and hunt down the people who killed his wife. Upgrade was written and directed by Leigh Whannell and stars Logan Marshall-Green, Betty Gabriel and Harrison Gilbertson. The full list of movies and TV shows hitting Crave in February can be found here. Dreamworks and Netflix’s children’s flash animated Captain Underpants series is back for a second season. Based on Dav Pilkey’s Captain Underpants books, this season continues the antics of pranksters and artists George Beard and Harold Hutchins who hypnotize their grumpy principal into becoming superhero Captain Underpants. The series features the voices of Nat Faxon, Ramone Hamilton and Jay Gragnani. When he’s not experimenting with filmmaking on iPhone, Academy Award-winning director Steven Soderbergh is also helming movies for streaming companies. In this case, Soderbergh and Netflix have put out High Flying Bird, a sports drama about an agent who pitches a controversial business opportunity to a rookie basketball player during a lockout. High Flying Bird stars André Holland, Zazie Beetz, Melvin Gregg, Sonja Sohn and Zachary Quinto. Actor-comedian Kevin Hart dives into Black History in this humorous-yet-educational Netflix special. The third season of Netflix’s One Day at a Time sees the return of the Alvarezes, a Cuban-American family centering on a Cuban-American family made up of a separated, former military mother and her old-school mother raising two teenagers. One Day at a Time stars Justina Machado, Todd Grinnell, Isabella Gomez and Marcel Ruiz. The full list of movies and TV shows hitting Netflix Canada in February can be found here. What will you be streaming this week? Sound off in the comments below.